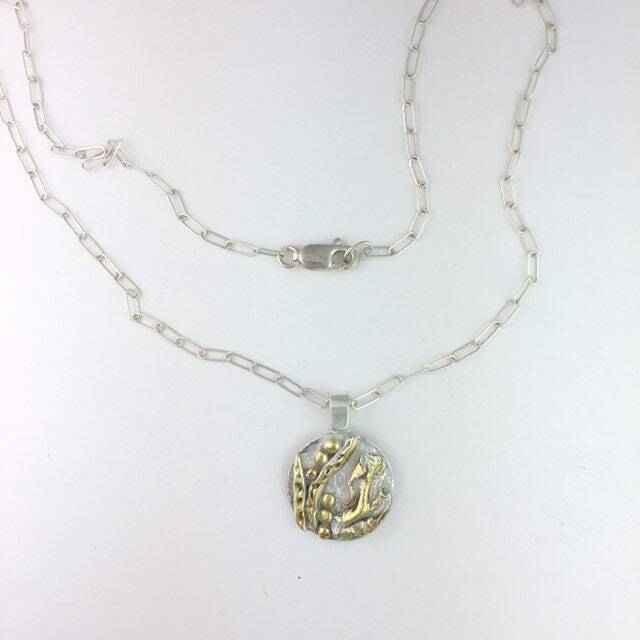 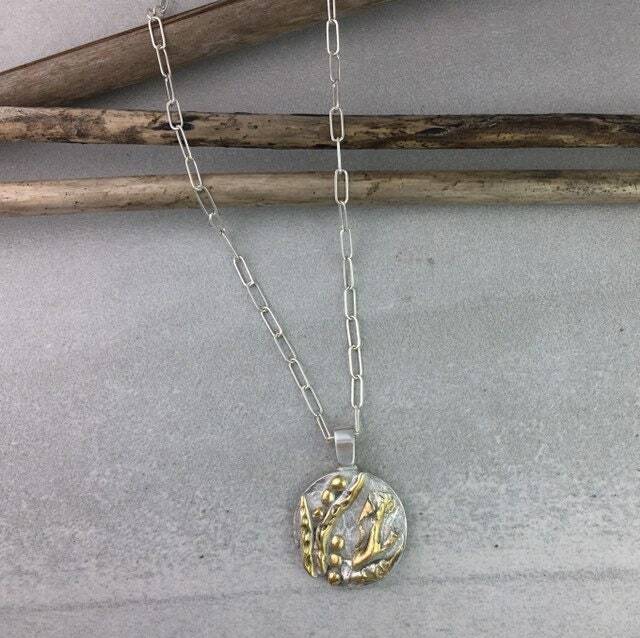 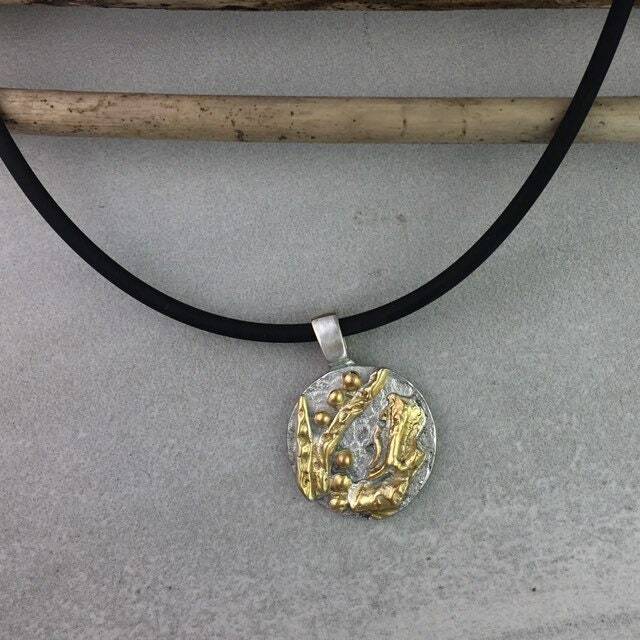 Organic inspired solid Sterling Silver Pendant with 14k plating to accent the beauty if the free flowing design. 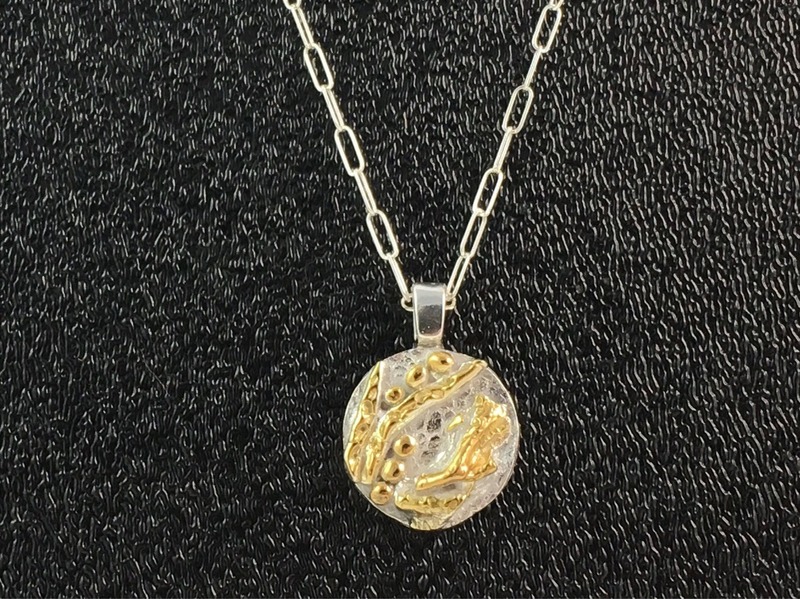 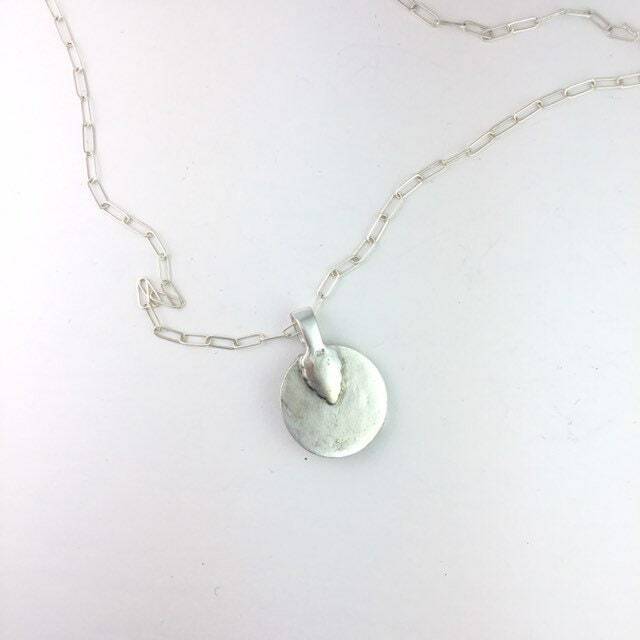 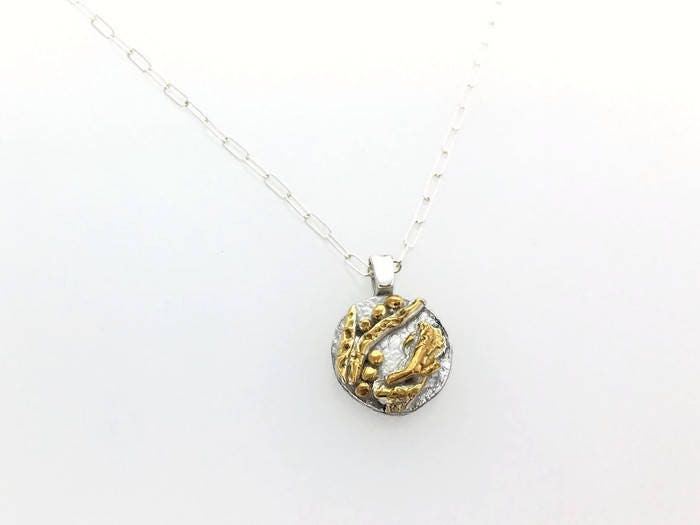 Each pendant is made in wax first then cast in Sterling Silver. 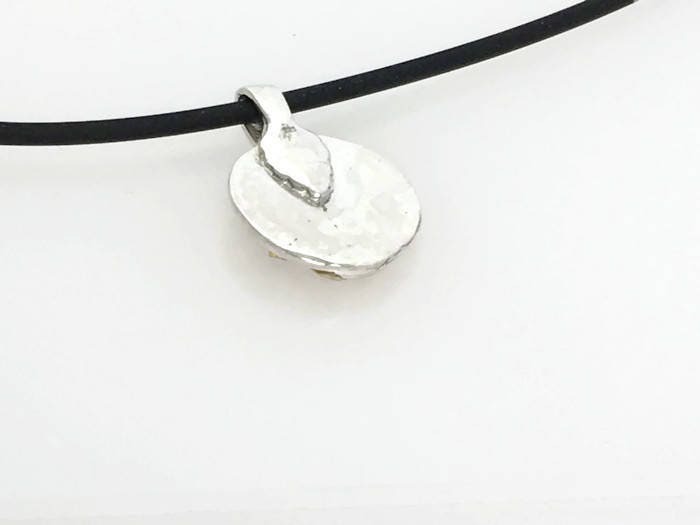 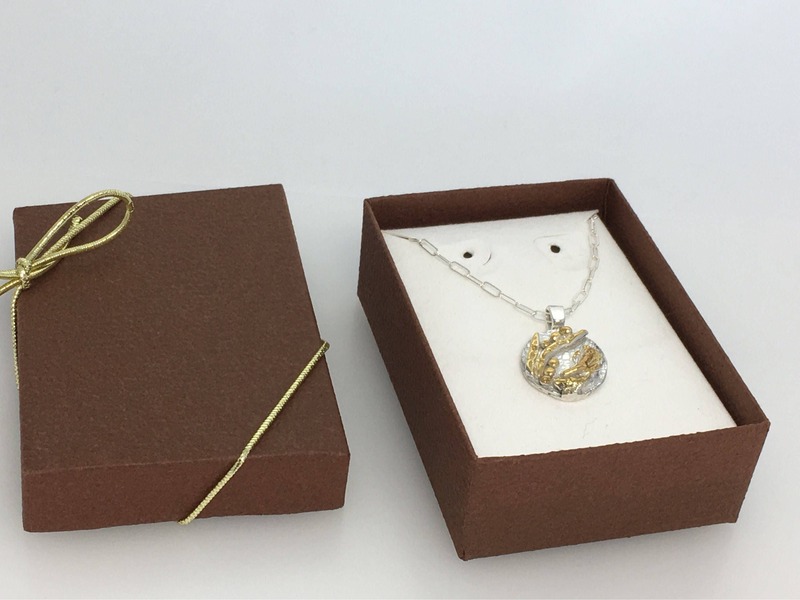 All pendants are made to order and come in a box ready for gift giving You may chose from a Sterling Silver chain or Black Rubber chain. 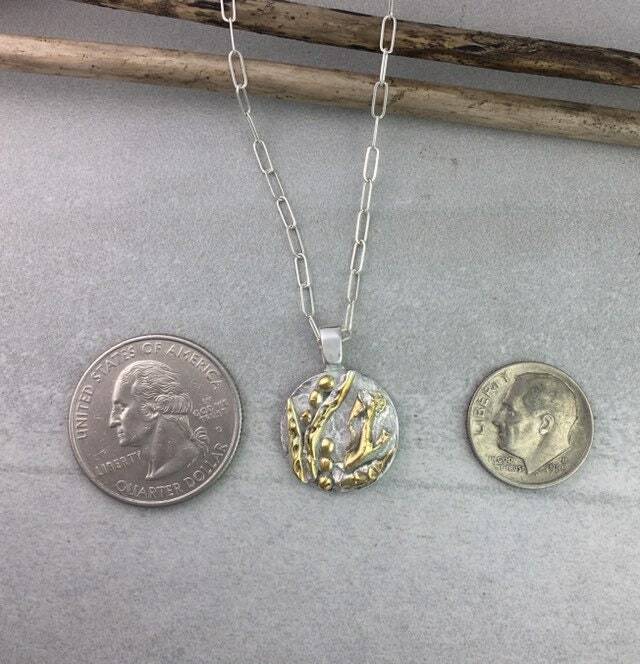 Pendant is appropriate 6/8" round and height with bail is just under 1".